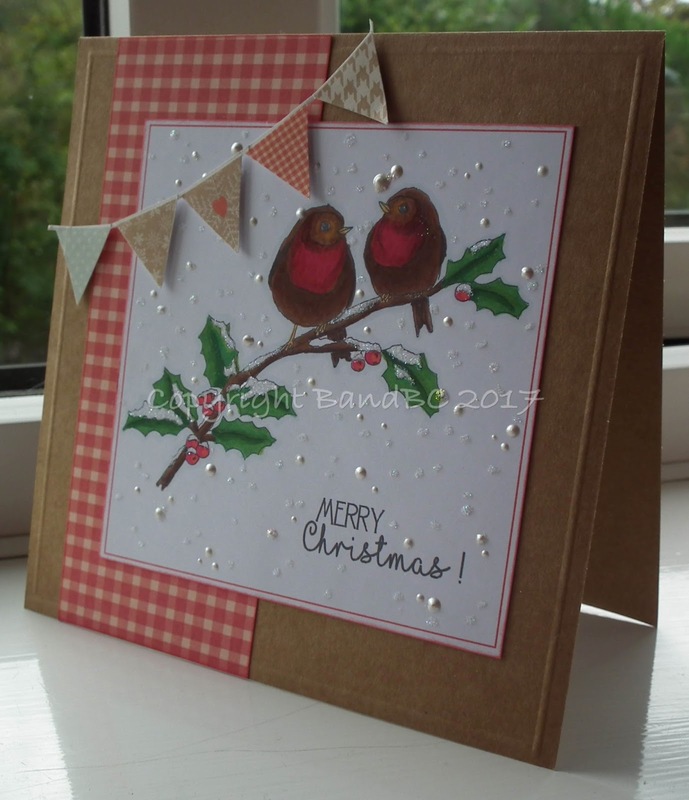 Bright and Breezy Crafts: My first Christmas card! The image is called "winter robins"
and I fell in love with it as soon as I saw it. It was a lovely image to colour. The sentiment was on my pc. I added some micro glitter and liquid pearls to represent the snow. christmas dovecraft paper pack from a few years ago. but there's still a week to go. Beautiful Christmas card! Gorgeous image !